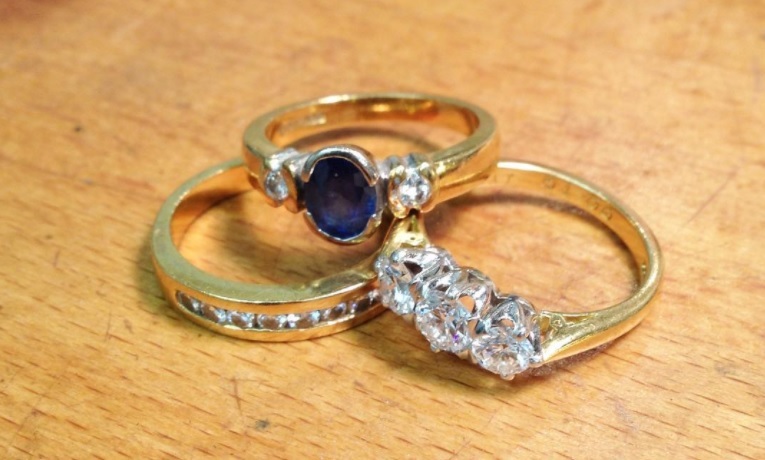 Do you have an old piece of Jewellery lying at the bottom of a draw? Its possibly broken or you've inherited the old jewellery from a relative. You have it but its not your style but its sentimental and wish to wear it. 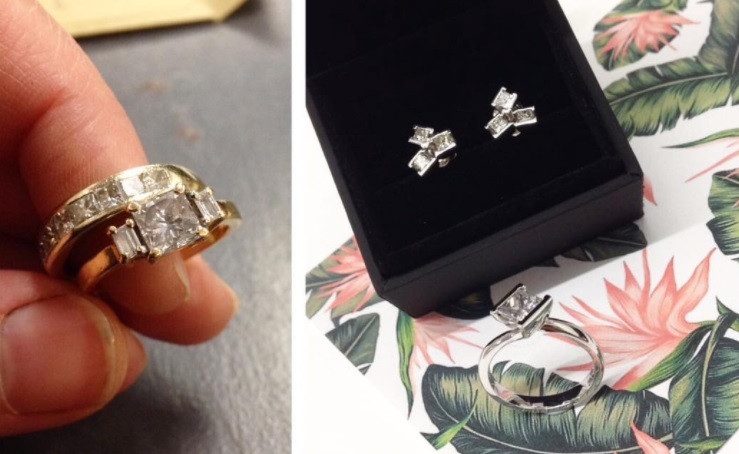 We can transform this and your old gold and silver jewellery into a new piece of jewellery of your choice. Before you think of pawning your old gold and silver consider re-using it and putting towards a new custom bespoke piece of jewellery. 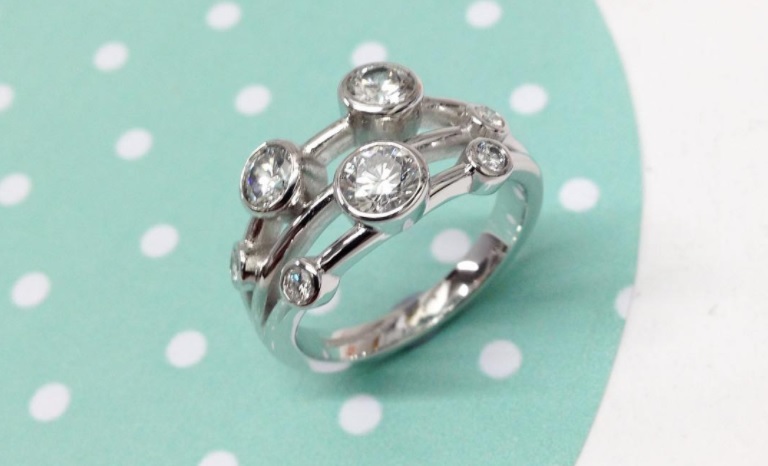 You can have the freedom to create a new piece of jewellery, from you old gold and silver. You might have a piece you wore 15 years and its old fashioned jewellery and you have been looking at a new piece of jewellery online or in a jewellers. Why not use your old gold or silver towards this new piece of jewellery. Don't pawn it, re-use it! Unfortunately we are unable to recycle any platinum due to the melting point. Silver, yellow gold, white gold and red gold are all possible. Previous yellow gold and diamond sentimental ring that belonged to previous family member. Worn setting and missing diamond. Transformed into new stronger ring using old diamonds to new contemporary design in 18ct white gold. Click here to contact our creative team with all your ideas and old jewellery needs. 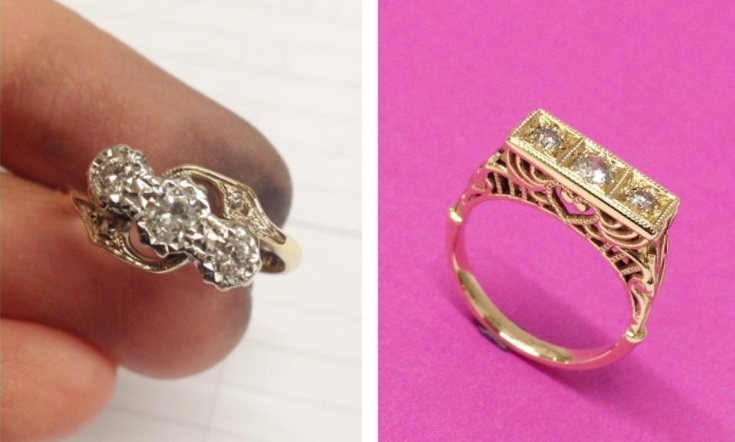 If you have inherited a relatives old engagement ring and its not your style. Why not revamp and modernize it into something you can wear forever. Take a look at out bespoke engagement ring page, click here.